The main residence Praana is an expansive villa of 4’700 m2, this spectacular property enjoys 360° panoramic vistas of lush tropical forests and across the beautiful Gulf of Samui, With its exceptional facilities, Praana feels more like its own resort. 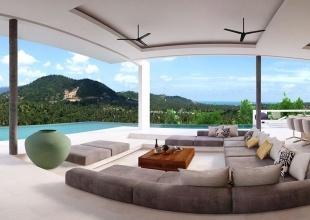 Set on 12.5 acres of frangipani landscaped gardens YL Residence No.17 has a 450-meter beachfrontand is situated at Natien beach on the Southern coast of Koh Samui with a virtually private beach.This extraordinary property is able to accommodate parties of up to 20 guests. 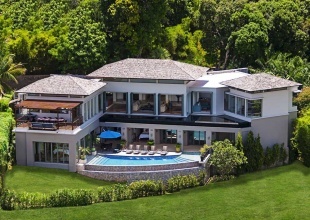 One of two double-plot villas within Samujana. 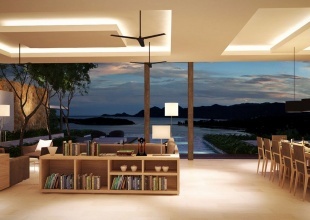 Villa 24 has the largest built space of any Samujana villa at an impressive 1808 SQ.M. This is a home for a big family or someone very popular, as it showcases eight bedrooms. 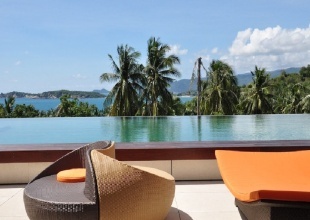 Providing everybody with plenty of space for enjoying the sunrises and sunsets over the ocean as this villa has both south and west views over the Gulf of Thailand. Designed for relaxing, training and entertaining, the spectacular Villa 12 offers an extensive array of facilities and spaces. 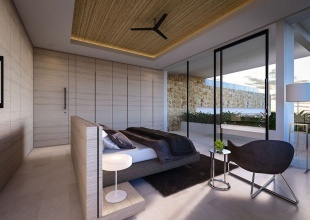 This was originally planned to be two villas. 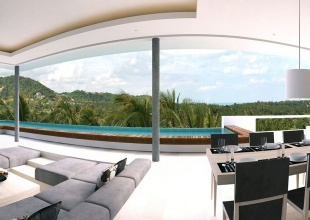 Villa 22 has the largest land area of any Samujana villa at a whopping 2,679 SQ.M. Featuring six huge bedrooms, nine bathrooms and two kitchens. There is abundant space, yet the villa is just situated over two levels, which is a big plus for those who don’t want a lot of stairs. Boasting extensive gardens and incredible panoramic views this colossal villa is perched on the highest tier of the estate. The villa offers a private cinema to enjoy time relaxing in cool air-conditioned comfort whilst watching a plethora of films and TV shows. Simply a chef’s delight, equipped with two designer built kitchen intended for entertaining groups of friends and family. 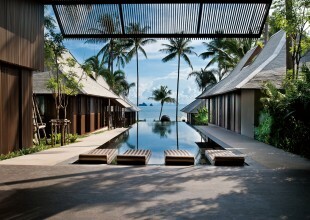 A Beachfront Residence Like No Other, Akatsuki commands an Unparalleled Location on the Stunning Scenic West Coast of Samui. Built on the Wisdom of Two Cultures; the Smiling Heart of Thailand and Gracious Heart of Japan, this Fusion of Cultural Insight is translated through the Inviting Taste of Japanese-inspired Style and the Warm Welcome of Thai Hospitality.